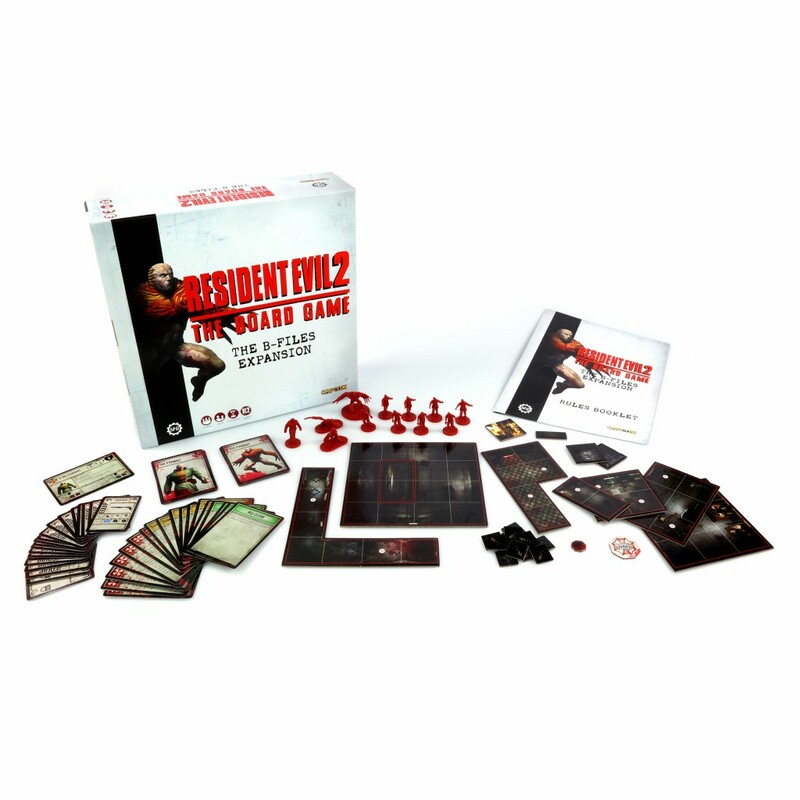 An expansion for Resident Evil ™ 2 – The Board Game. The B-Files Expansion offers up a half dozen additional scenarios for the game, with new areas to explore and new enemies to fight, including the T-00 and T-103 Tyrants. The expansion has 12 new plastic miniatures, 7 more board tiles, 61 cards, 17 tokens, and a scenario book.